You may have already met several of them. WOSPs are Well-Intentioned, Over Involved Sports Parents. 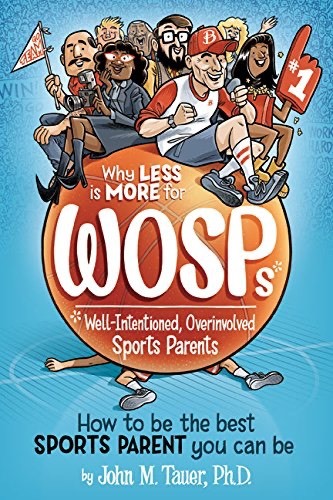 John Tauer tells us about them in his new book, Why Less is More for WOSPs. It's an easy to read book filled with challenging information. It makes all of my years of study on overindulgence come alive for the sports world. John Tauer has agreed to write a series of blogs for our subscribers, and I can’t wait to read them. I want to understand more about how good hearted parents can slip into the world of Youth Sports and get carried away financially and emotionally. It’s the world we authors of the How Much is Too Much book call the New Normal. WOSPs. Alerting people to the importance of understanding overindulgence is so important that it is wonderful to have a look at it through another lens and under another name. Let me tell you a bit about John Tauer's book and how the data from our overindulgence research support his thesis and his conclusions. While Tauer's passion is basketball, his book is laced with intriguing stories of successful and unsuccessful athletes from many fields, all the way from unknown players to Tiger Woods. 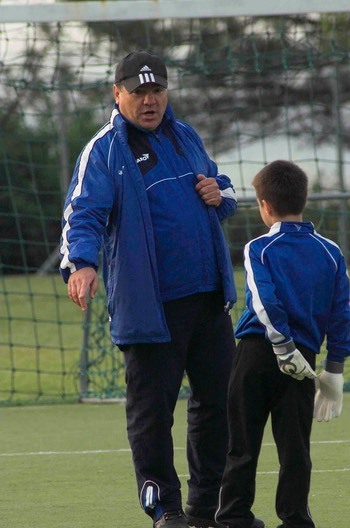 More than that, it is filled with wisdom born of years of thoughtful playing and coaching. His social and psychological perspective on the history of Youth Sports invites the reader to take a more than casual look at what's going on in Youth Sports and how we got here. What Tauer has to say about trophies and when or whether parents should attend their children’s games has sparked vigorous conversations at our house (click here for related story: Pay For Scores?). The WOSPs book is laced with important research that explains and guides Tauer's coaching approach. For example, his extensive study of intrinsic and extrinsic motivation gives us information that is both thought provoking and helpful. His research reports do not include direct studies of overindulgence, and, as I read the book I kept thinking, "Oh, we have research that is very supportive of Tauer's conclusions. For example, our findings from the Wealth, Fame, and Image study on aspirations show up in the world. Bauer has a lot to say about how wealth, fame and image motivate sports and how they can sometimes become excessive for WOSPs and for some coaches. He also talks a lot about the need for balance in the athletes' worlds and in the parent's lives. Our studies told us that people who were highly overindulged as children are apt to identify with the wealth, fame and image goals. They also indicated that they are not interested in meaningful relationships, personal growth, community contributions and helping others. One has to wonder how much WOSPs have themselves been overindulged. 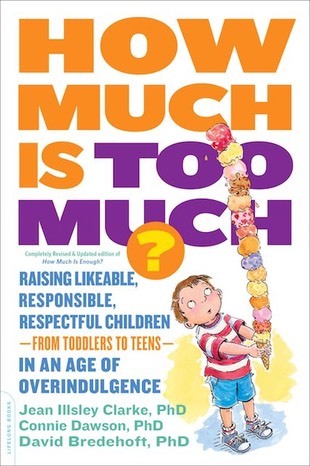 Overindulgence includes giving children Too Much. Tauer offers specific information about too much money. As well intentional parents spend, they may have no idea that one of the hazards for Too Much kids, is raising children who are unappreciative. Not what parents intended. Over Nurture, which includes helicoptering, occurs when parents or other adults, even coaches, do things for the children that they should be doing for themselves. That keeps them from becoming competent. While children may become highly skillful in some areas (sports) they may be sadly lacking in other areas (life skills? spiritual growth? decision making? responsibility for self? respect others?). This is a big concern for Tauer. All of these conditions bubble up in Tauer's stories. I think it is safe to say that well intentioned parents did not start with these goals in mind. Taker’s book includes an excellent section on parenting in which he uses the story of Jake and Teresa Mauer’s family values and how they avoided the WOSPs trap as they parented their son Joe Mauer of the Minnesota Twins. It is a great account of assertive parenting. You may have noticed I really like this book. I am not what would be considered a real sports fan. So, I am taking a lot of ribbing from my family about being so excited about Tauer's book. But I am! I want everyone to read it because WOSPs are everywhere, and their influence will have an effect on our whole society. Photos from: MorgueFile free photo, & Book Cover from Amazon.com.